The meeting and conference rooms at our hotel near Moroni airport are not far from downtown and administrations offices. The conference rooms have an outdoor terrace. Two meeting rooms are available to suit guests' requirements. They are equipped with state-of-the art audio and video equipment and can be configured to meet the needs of any event. 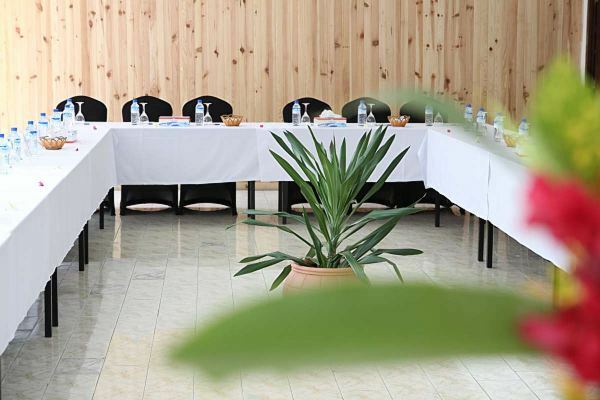 The conference rooms in our hotel near Moroni airport are managed by a dedicated, trained staff to ensure the smooth running of conferences, meetings and other events.